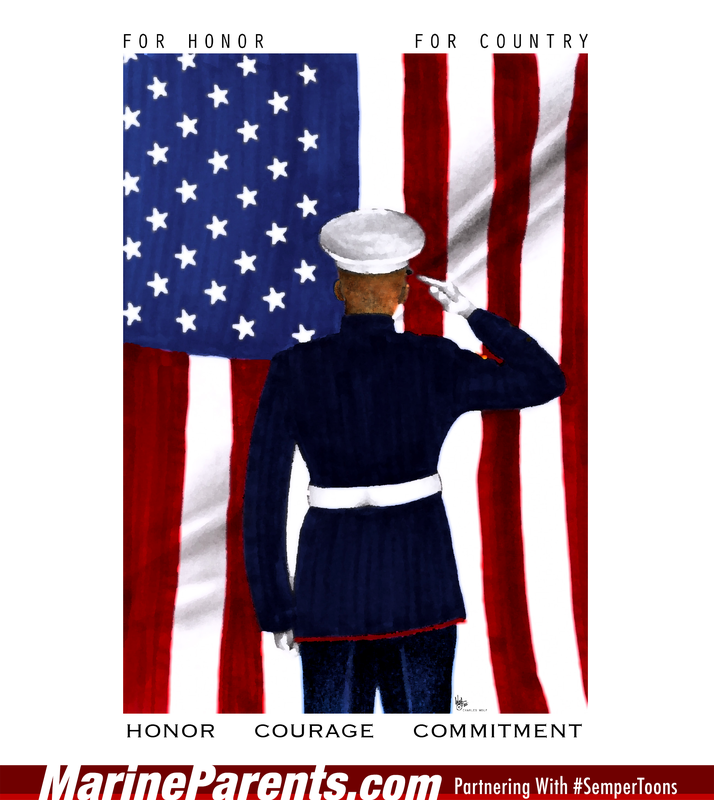 Gunny Wolf from SemperToons has created this cartoon that features a male or female Marine standing in salute facing the American flag. 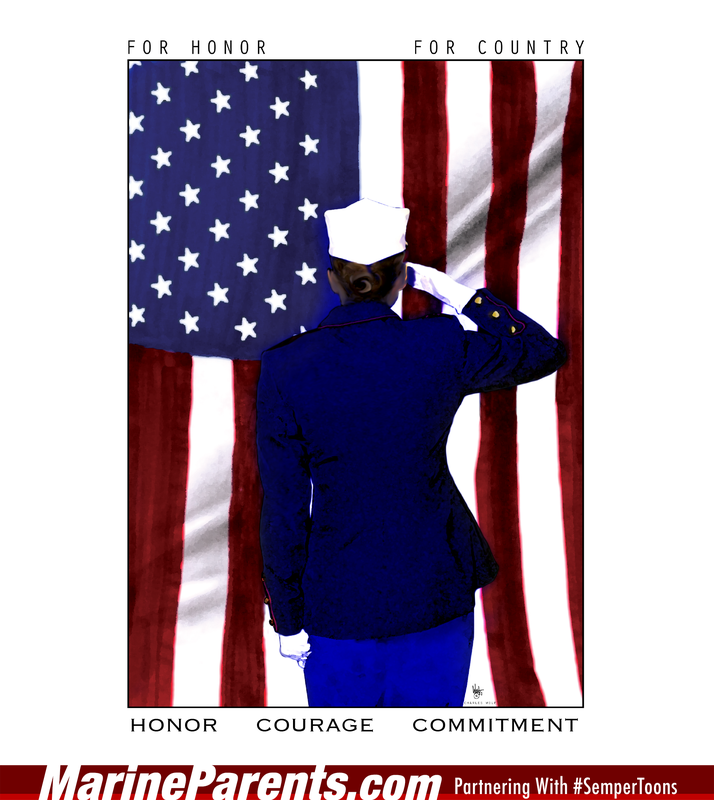 On top of the image sit the words, "For Honor, For Country". On the bottom are the words, "Honor", "Courage", and "Commitment". Shop For Country SemperToons at the EGA Shop.